I have actually been hiding this week as on Monday I was diagnosed with with a bacterial eye infection, which is not only instantly visible as soon as you look at me, but also painful and unpleasant. Until it is clear I can’t wear any make-up, and whilst this sounds like a small thing, my make up really is my mask and I never face the world without it. So to have to see my clients and teach my classes as normal this week has been really hard for me as I feel so self-conscious and so unattractive. This makes me sound so vain I know, and the truth is I know I am – which is why I’ve not been posting selfies or self indulgent status updates this week because I feel unattractive and unsociable and to be honest not “social media worthy”. I realise that some people face the world every single day with much worse conditions, and for some pain and physical abnormalities are things they live with without making the dramatic fuss that I am, but it did make me stop and think how much my life is based around my appearance and to a fair extent my social and online acceptance of my appearance. A very close friend of mine posted on her Instagram earlier this week a post about not caring about what others think and doing things just for her and I couldn’t have admired it more – the ex overweight and shy Wildcat sadly still needs validation sometimes, and it’s a bit embarrassing to admit that sometimes that does come in the form of lovely comments and hundreds of likes on my social media posts. At 35 I really should know better. I do feel better about the way I look. But at least I am aware and honest about this – and I hope that others will be too – social media is very rarely reflective of real life – of eye infections, cellulite, bad hair days and anything else we might be trying to hide. Always be yourself, and if you think someone elses’ timeline looks perfect, chances are it probably isn’t. 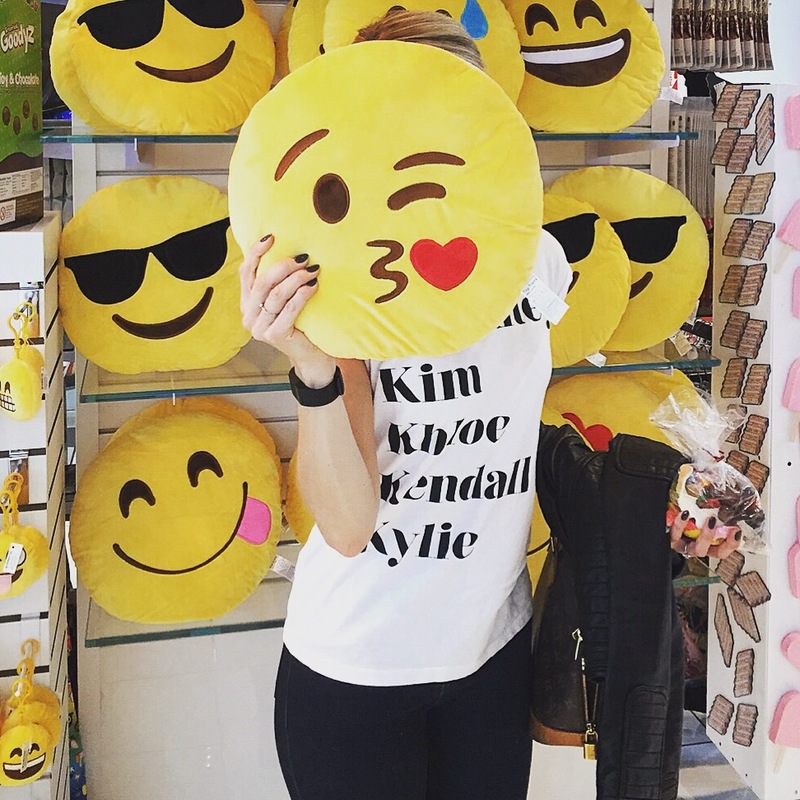 Maybe they too are hiding one freakishly swollen eye behind an emoji cushion…..